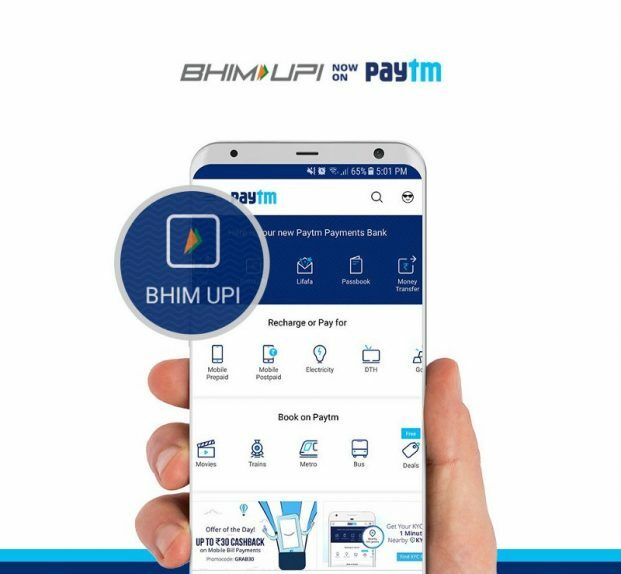 Paytm Introduced BHIM UPI Payments: The Paytm has integrated with BHIM UPI payments system on its app. BHIM is the Indian Government’s digital payment service, and it is the largest issuer and acquirer of UPI. Paytm has recently introduced Inbox native chat service on their platform. Users can now create their own the Paytm BHIM UPI ID on the app which will be your mobile-number@paytm by default and link your saving bank account with this unique Paytm BHIM UPI ID and can start sending and receiving money. Paytm says that the Paytm BHIM UPI IDs are being accepted at all banks and BHIM UPI apps. Setting Paytm BHIM UPI account is easy, just tap the BHIM icon on the Paytm app, select your bank, and then your bank will verify your mobile number and later set your MPIN. With Paytm BHIM UPI, you can now send and receive money with no waiting time to add beneficiary and bank details or IFSC code are not needed to receive money as well. Paytm merchants can link their multiple existing bank accounts with Paytm BHIM UPI ID and accept money in whichever account they wish. However, as per National Payments Corporation of India (NPCI) guidelines, users can send up to 1 Lakh a day and no limits for receiving. The Paytm BHIM UPI is currently available in beta for Android app, iOS too will get it soon.